Hey there friends. Long time no see! Maybe some of you have been hit by spring fever like I have? And now suddenly the end of the month is in sight and Easter is quickly approaching. 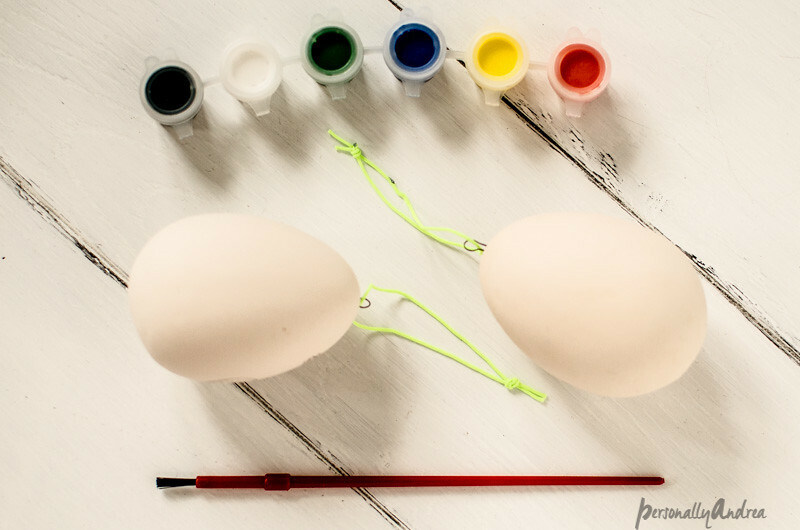 How about a little Easter craft? I don’t know how you feel about Easter crafts. A lot of traditional Easter stuff like flowers (too early where we live), pastel colours (not a fan), rabbits (they eat my favourite grape hyacinths to the ground as soon as they finally bloom) doesn't really work for me. 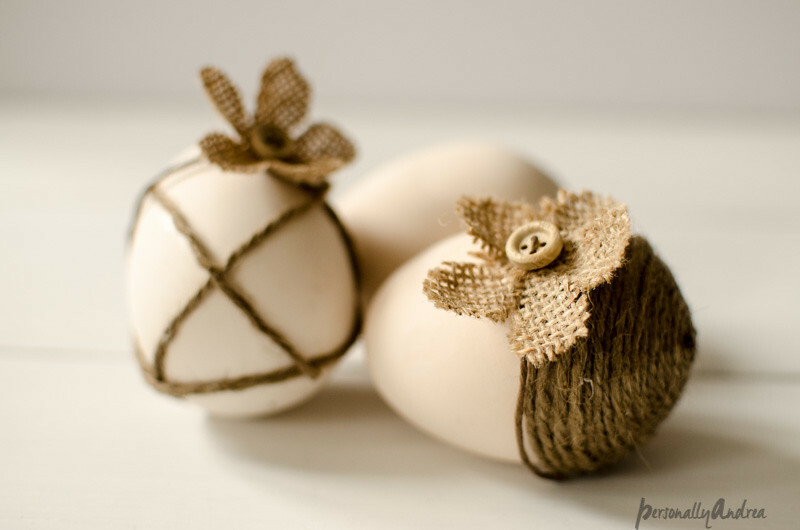 But for whatever reason eggs and nests and such do work for me, and I love to decorate eggs in lots of different ways. We always colour hard boiled eggs which get hidden, found and eaten Easter morning. #tradition But special holidays are always a good excuse for being crafty. Sometimes you need it just for the creativity, but if it’s something you can keep or use then even better in my books. So I was on the hunt for some wooden eggs (haha see what I did there) this year that I could paint or embellish and keep for years. They’re a bit pricey, so I was looking for a deal, when my mom found these plaster egg kits at the dollar store instead. We snatched up a whole bunch of them. We spent one March Break afternoon painting these as the kit intended. We did characters from Despicable Me, in case you were wondering. But I also wanted to make some beautiful ones that could be kept out for the spring season, not just Easter, and be kept to use other years as well. So I took out the paint sets and brushes and stashed them with the craft supplies for another day. Instead I got out some jute twine and these burlap floral stems. I love these for all kinds of embellishment, you can also see how I used them here and here. 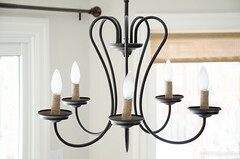 But you can use any floral stems that you like, check your usual craft supply places. 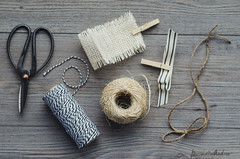 With a little bit of patience I just used white craft glue to attach the twine in a couple of different patterns. You could also use hot glue or rubber cement. The white glue is just more kid-friendly. Less dangerous or toxic, ya know. Then I glued the back of the burlap flower to the plaster at a point where the twine ended. It helped cover up the loose end of the twine and make the whole thing look more finished. And wrapped the floral stem around the egg. Since I like to use a contrast of textures, I used this pretty etched glass bowl to display them. A little Spanish moss inside gives the idea of a nest. 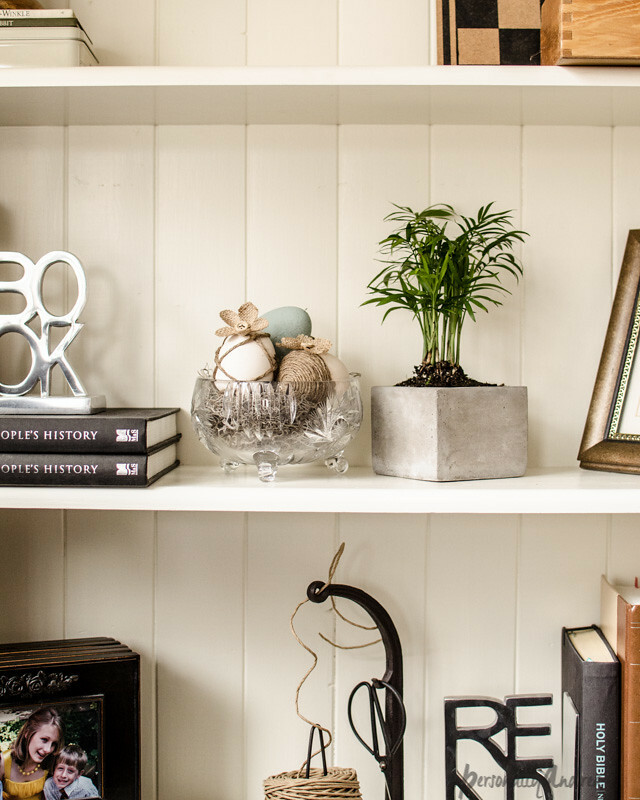 And it’s tucked into the family room bookcase for a little touch of spring. 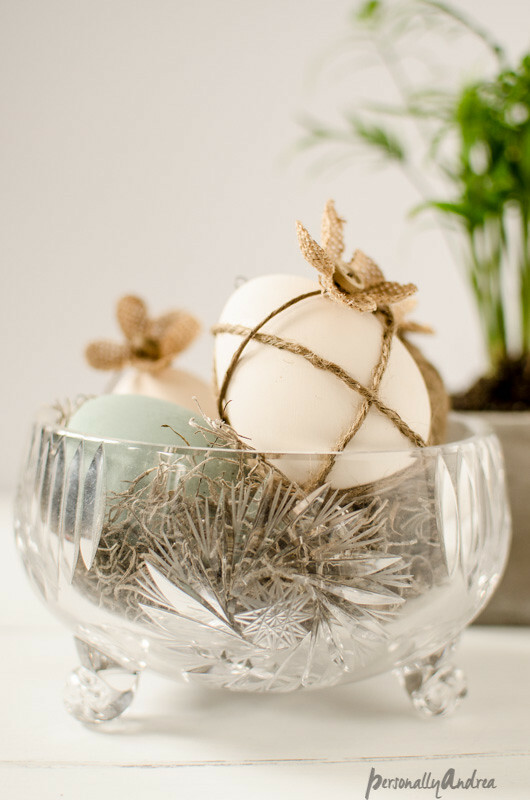 But it’s Easter-y enough to be pulled out and used as table decor too if you’re entertaining for Easter. What do you think? 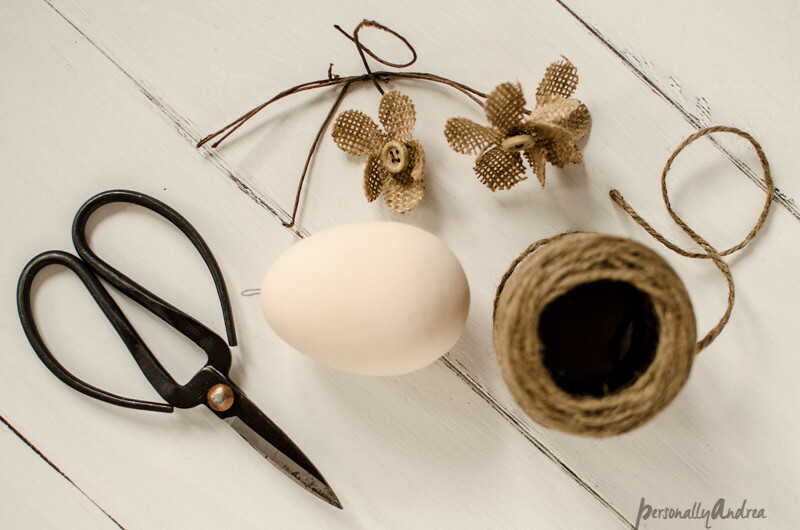 What are your feelings on Easter crafts and decor? Yay? Can’t get enough? 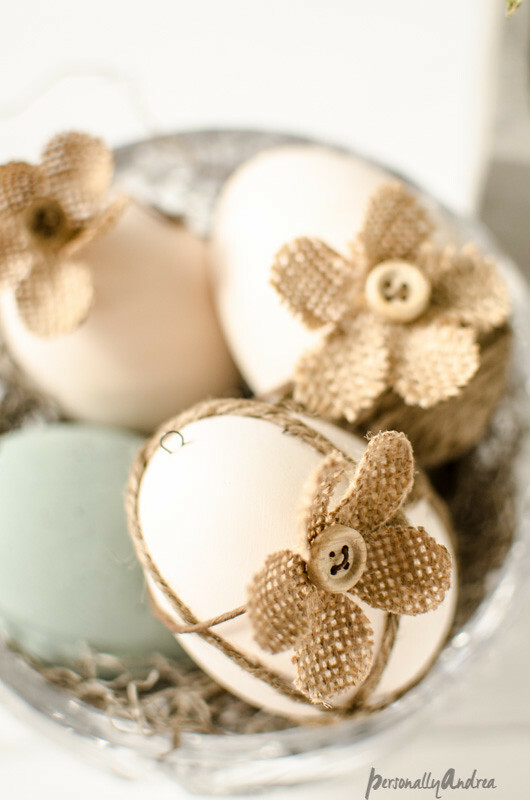 Then don’t forget to take a peek at my Pinterest board for all things Easter including tons of other ways to decorate eggs, fake and real. Totally not into it and moving on to Mother’s Day? I have a Pinterest board for you too… Seasons: Spring. Thanks so much for hanging out with me on the blog. I’ve missed being here and missed you! Leave me a comment just to say Hey! Or let me know what you’re up to for crafts this spring. See you again soon!